March 23 is the 82nd day of the year(83rd in leap years) in the Gregorian calendar.There are 283 days remaining until the end of the year. Year 1400 (MCD) was a leap year starting on Thursday of the Julian calendar. The Trần dynasty ruled in Vietnam from 1225 to 1400. 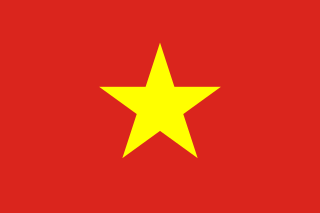 The dynasty was founded when emperor Trần Thái Tông ascended to the throne after his uncle Trần Thủ Độ orchestrated the overthrow of the Lý dynasty. The final emperor of the dynasty was Thiếu Đế, who at the age of five years was forced to abdicate the throne in favor of his maternal grandfather, Hồ Quý Ly. The Trần dynasty defeated three Mongol invasions, most notably in the decisive Battle of Bạch Đằng River in 1288. 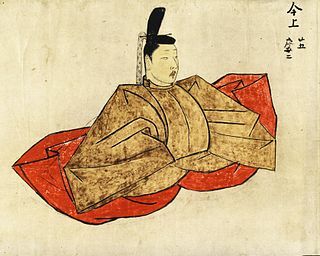 Emperor Go-Kōgon was the 4th of the Emperors of Northern Court during the Period of the Northern and Southern Courts. According to pre-Meiji scholars, his reign spanned the years from 1352 through 1371. Year 851 (DCCCLI) was a common year starting on Thursday of the Julian calendar. Zhou Chi (周墀), courtesy name Desheng (德升), formally the Baron of Ru'nan (汝南男), was an official of the Chinese dynasty Tang Dynasty, serving as a chancellor during the reign of Emperor Xuānzong. Year 1022 (MXXII) was a common year starting on Monday of the Julian calendar. Saint Joseph Oriol was a Spanish Roman Catholic priest now venerated as a saint in the Roman Catholic Church who is called the "Thaumaturgus of Barcelona". Ottone Frangipane, also known as Saint Ottone, was a Benedictine monk and a hermit. In Italian Roman Catholic theology he is patron saint of Ariano Irpino and the diocese of Ariano Irpino-Lacedonia. Rafqa Pietra Choboq Ar-Rayès, O.L.M., also known as Saint Rafka and Saint Rebecca, was a Lebanese Maronite nun who was canonized by Pope John Paul II on June 10, 2001. Saint Gwinear was a Celtic martyr, one of only two early Cornish saints whose biographies survived the Reformation. The Life of Gwinear was written in the early 14th century by a priest named Anselm, and has sometimes been printed among Saint Anselm's works. His feast day is March 23. April 19 is the 109th day of the year in the Gregorian calendar. 256 days remain until the end of the year. ↑ Tucker, Spencer, ed. (2010). "Overivew of 1700 to 1750: Chronology". Global Chronology of Conflict: From the Ancient World to the Modern Middle East. Volume 1: ca. 3000 BCE-1499 CE. Santa Barbara, Calif.: ABC-CLIO. pp. 704–705. ISBN 9781851096671. ↑ "ISIL defeated in final Syria victory: SDF". Al Jazeera. March 23, 2019. Retrieved March 23, 2019. ↑ Lal, K.S. (1988). The Mughal harem. New Delhi: Aditya Prakashan. p. 90. ISBN 9788185179032. ↑ "Kiran Mazumdar-Shaw | Biography & Facts". Encyclopedia Britannica. Retrieved 2019-01-29. Wikimedia Commons has media related to March 23 .